FULL TIME - The final whistle sounds in Pretoria! Despite scoring twice against the run of play, thanks to Samu Kerevi, the Reds were never really in the contest and were simply outpointed in the second half by the hosts who were able to come up with all the answers. 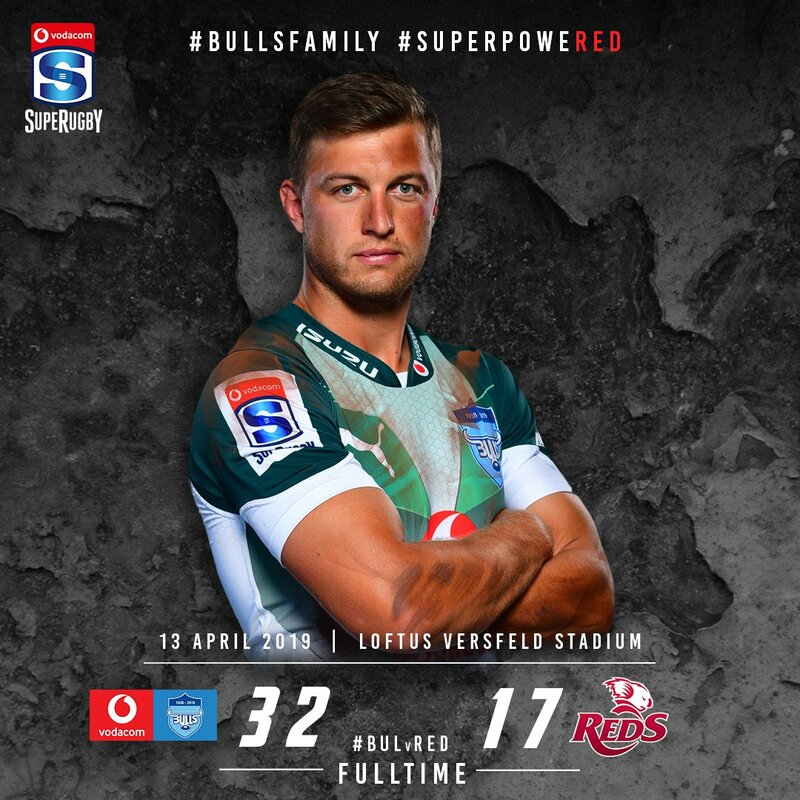 An impressive performance from the Bulls who, with the bonus point 32-17 victory, jump straight to the top of the South African conference. The final siren sounds with the Reds in possession - the only question from here is whether the visitors can somehow manage to manufacture a try to cancel out the Bulls' bonus point. We enter the final minute of the match - the Reds have the scrum feed but find themselves on the wrong side of halfway. Despite stringing together several phases, the Reds hit a brick wall in the form of the Bulls' defensive line and will advance no further - turnover to the Bulls via a penalty. Untidy play from the Reds with passes not going to hand cleanly but they have somehow managed to edge their way to the Bulls' 22. Jock Campbell, fresh onto the field and making his debut, gains some valuable metres for the Reds with an explosive burst. The Reds are penalised for not releasing the ball just 5 metres out from their own line - the Bulls elect to apply the blow torch to the Reds' defence by taking the option of a scrum feed. The Reds dig deep to post a quick response! From the lineout set piece, the visitors spread the ball quickly to the left and into the hands of Kerevi - the inside-centre has a ton of work to do but, with supreme strength and skill, he busts through the tackle before making a dart for the try line. MISS! A difficult conversion attempt for Pollard way out near the touch line and the fly-half can't bring the ball back inside the right hand post. The Bulls make it two in quick succession to just about put this match beyond the Reds' reach! Outstanding vision from Pollard who sends the cross kick across field straight into the waiting arms of Stighling who obliges by taking the ball cleanly before launching himself over the line in the corner. The Bulls strike back almost immediately! 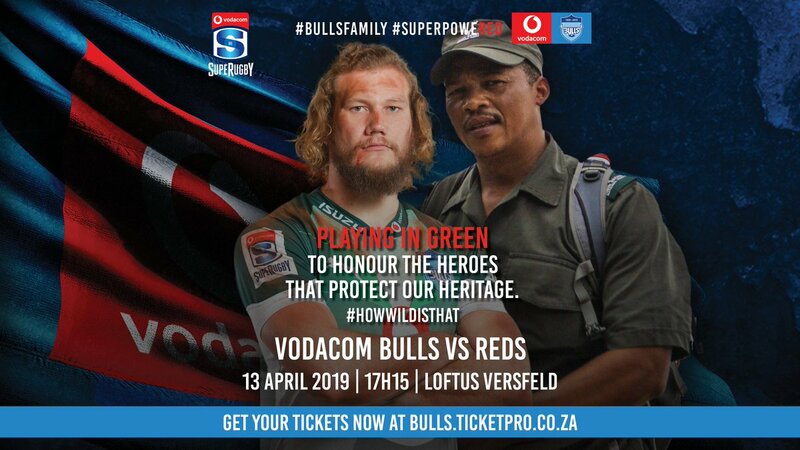 With a couple of involvements, Snyman builds some momentum for the Bulls in heavy traffic - the lock cleverly hands off to Liebenberg who finishes the move by crashing over right under the posts. The Reds break through for their first try of the match! Creating something from nothing, Lukhan Salakaia-Loto breaks the tackle before getting away a magical offload that puts Samu Kerevi on a path to the try line. The good news for the Bulls is that Snyman is back on his feet and is ready to contest the lineout. We have a break in play with RG Snyman flat out on his back and receiving treatment for what appears to be cramp. The Bulls' scrum has come out firing in this second half! A second successive penalty to the hosts' forward pack will give Pollard a chance to relieve with a clearing kick into touch. Chance here for the Reds! The line out throw from Jaco Visagie is not in straight and the Reds have a scrum feed inside the Bulls' 22. A well placed kick for touch has the Bulls retreating inside their own 22 and gives the Reds their best field position of this second half. The Bulls are penalised for offside - with the kick for touch, Hegarty gives the Reds a chance to set up an attacking foray by taking play inside Bulls' territory. The Reds are only just hanging on at the moment but manage to manufacture a clearance with a turnover right on their own line before Hegarty scrambles a clearing kick into touch beyond the visitors' 22. Penalty to the Bulls! The Bulls' forward pack lands a blow early in the second half with the Reds' penalised after the scrum went down. A perfect start to the second half for the Bulls! Despite being taken high in the tackle, Pollard keeps his composure to maintain his forward momentum and the skipper uses it to carry him to the try line. SECOND HALF - Handre Pollard sends the ball high into the air and we are underway in the second half! HALF TIME - Referee Jackson has had enough and blows his whistle for half time. 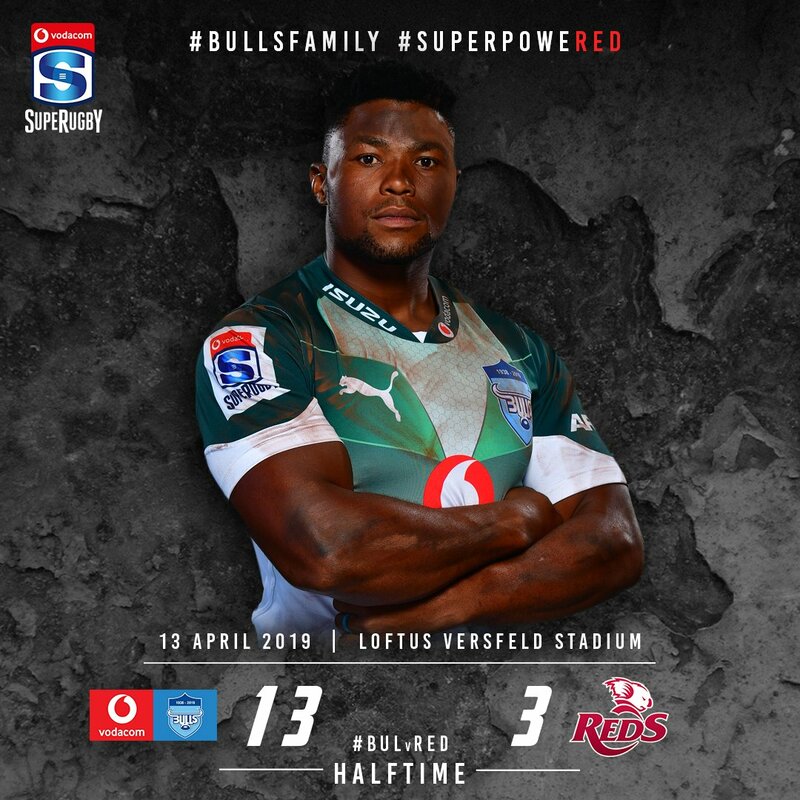 Save for the scrum, where honours were split, the Bulls dominated every aspect of that first half - they scored the only two tries of the first half and head for the rooms with a 13-3 lead over the Reds who have their work cut out for them in the second stanza. Hamish Stewart is penalised for an illegal clean out and the Bulls, already two minutes after the half time siren, have a chance to extend their advantage further. The scrum has been one of the few shining lights for the Reds in this first half and, not for the first time, the visiting pack has been awarded a penalty - a chance for the Reds to mount one last attack before half time. The Reds have coughed up possession after a very untidy scrum - possession changes hands with the Bulls awarded the feed on the visitors' 10m line. A lung-busting passage of play comes to an end with John-Ben Kotze unable to hang onto an awkward pass that was down around his boot laces - scrum feed to the Reds right on their own 10m line. Penalty to the Reds! A solid shove from the visitors' pack is rewarded with a timely penalty that will give the visitors a chance to relieve some pressure. An excellent kick for touch from Pollard takes play deep inside the Reds' 22 where the Bulls will set up for another crack at the Reds' line from the lineout. MISS! It's been an uncharacteristically shaky start from the kicking tee from Pollard - he has one from three as his second conversion attempt misses narrowly to the right hand side. The Bulls convert their control of general play into points on the scoreboard! A perfectly executed set-piece play from the lineout from the home side - the Reds' defence crumbles in the face of a powerful rolling maul and Marco van Staden is able to crash over and successfully get the ball to ground. Penalty to the Bulls! Hamish Stewart is penalised for throwing the ball away from Stighling preventing the quick line out throw giving the home side have a chance to advance further inside Reds' territory. 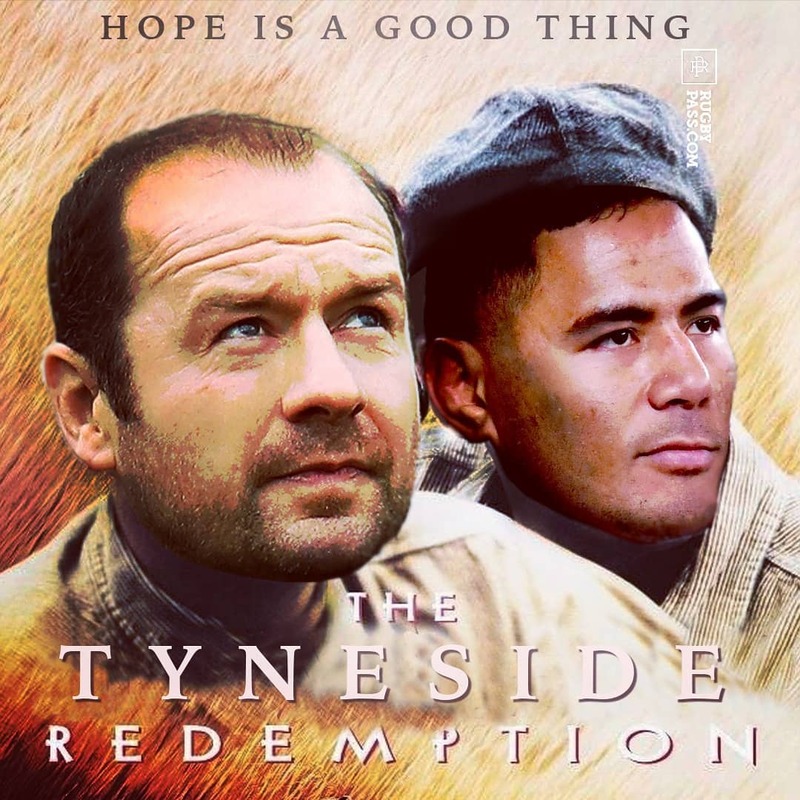 NO TRY! The replay showed that Stighling lost a handle on the ball whilst in mid-air and so the initial decision is over-turned - a huge let off there for the Reds' defence which has been under siege for the vast majority of this first half. Try or no try? Jade Stighling launches himself at the try line in the corner but there is a question as to whether he got the ball down cleanly - the on-field decision is a try but the TMO will have a closer look at the grounding. The Reds just haven't been able to hang onto possession at all in this first half - the visitors are penalised after the scrum went down and the Bulls have another chance to set up an attacking foray. 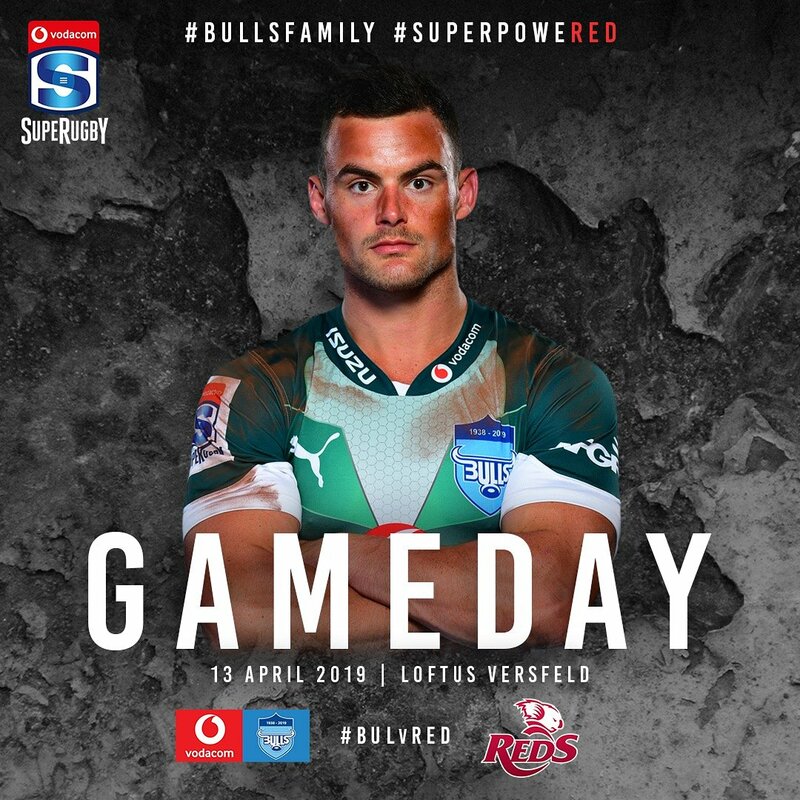 An expansive move from the Bulls out to the right comes unstuck with Jesse Kriel spilling the ball after being crunched in the tackle - a chance for the Reds to build some momentum with a scrum feed on the Bulls' 10m line. Underlining their early dominance of this contest, the stats sheet is showing that the Bulls have enjoyed 78% of possession and 79% of territory so far. Pollard makes no mistake from close range and the Bulls extend their advantage - the home side have been dominant in the opening quarter of an hour and thoroughly deserve their advantage. Penalty to the Bulls! The Reds have been pinged for offside and so Pollard will line up a certain three points. Referee Glen Jackson is having some issues setting the scrum and we will have a reset. After pouncing on the awkward bouncing ball, Hamish Stewart can't stay in the field of play and the Bulls are awarded a 5m scrum - dangerous times here for the visitors! Despite conceding an early penalty goal, the Bulls have completely dominated the opening exchanges and look like scoring every time they get their hands on the ball! MISS! A rare miss from the boot of Handre Pollard - the Bulls' fly-half has pushed the conversion attempt away to the right. The Bulls strike with the first try of the match! With an explosive burst, John-Ben Kotze gives the home side all the momentum before coming up just short of the Reds' line - Lizo Gqoboka follows up with the pick and drive and from close range the front-rower is over. The Bulls are penalised after an untidy passage of play deep inside their own half gifting Bryce Hegarty a shot at the posts and, from right in front, the Reds' fly-half gets the visitors off to an excellent start. FIRST HALF - Bryce Hegarty sends the kick off to the Bulls' 22m line and we are underway in the first half! LIVE UPDATES | Head to our match centre for live scoring updates throughout the match. One hell of a ball game.  'The Academy' 🎬 - Our new docu-series goes behind the scenes with Leicester Tigers' Academy.